A member of a respected family of engravers and painters, George Smillie was once described as “one of the most widely known American landscape painters.” He began studying under James Hart in 1861 and soon thereafter exhibited works at the National Academy, which launched his career. 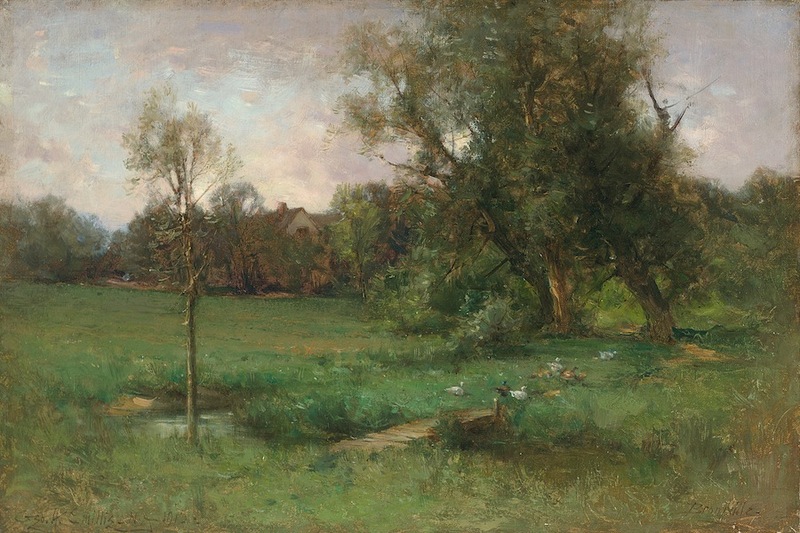 In the 1870s he was greatly influenced by the Barbizon school that embraced plein-air painting. Around the turn of the century Smillie often chose a more Impressionist palette. Bronxville was painted in 1912, six years after Smillie moved to Pondfield Road at the age of 66. He said of his new home town: “For the landscape painter there is enough to keep him busy here without going far afield for his subjects, and there is always inspiration among our beautiful trees and back lanes and old pastures.” The exact location of this Conservancy painting is not known, as the village’s tranquil and bucolic open landscape of 1912 no longer exists.